Flexible packaging provides a simple and adaptable answer to the portioning and preservation of filling goods. 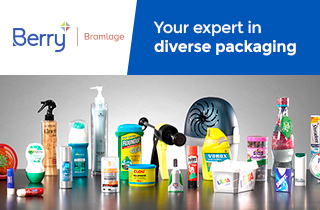 It's one of the fastest growing areas of the packaging industry as there is an extensive range of flexible packaging types made of paper, plastic materials or aluminum on offer. Industry is supporting this growth as flexible packaging requires less resources for production, results in less waste following use, and being light weight offers significant cost savings for transportation. ACTEGA is an international leader in the flexible packaging market, offering tailored inks, coatings and adhesives that are ideal for pouches, liddings, wrappings and more. Bags, pouches and sachets, made of plastic composites, metallized film and paper, have become increasingly important. Besides packaging integrity, the design is very important to customers for differentiation on the shelf. ACTEGA provides a wide range of colors for brands to distinguish their unique selling proposition, whether the packaging is aluminum, aluminum foil, metalized foil, paper or plastic. Typical applications of liddings refer to yoghurts, bottles or fresh meat. Particular demands are made on dairy products with regard to taste, freshness and natural appeal. ACTEGA can offer a variety of options that are ideal for food product applications. Wrappers can be sealed or just folded and are used for sweets and baked goods. Innerliners are used as a protector for cigarettes, sweets and chewing gum against loss of aroma and drying, respectively moisture absorption. There are many different adhesives and coatings that can be used and ACTEGA can assist in choosing the most appropriate. In a sealing process, two components are combined by pressure and heat or ultrasonic sound. Discover ACTEGA's highly specialized blister coatings with excellent sealing characteristics. ACTEGA introduces a new kind of UV Ink line that’s totally balanced, with all inks curing at the same rate. It’s easier to use on press, gives better proof-to-print matches and produces clean, brillant colors. With a focus on innovative and high quality products, technical support and services, ACTEGA provides a broad variety of solutions for digital printing across a range of markets. Whether a company is dealing with publication & commercial, labels or packaging, a dedicated team is available including experts from R&D, technical services and product consultation. Discover ACTDigi, our first cross-company brand fully dedicated to digital printing. ACTEGA offers coatings, adhesives, sealants and inks for metal packaging, with a focus on options for food and beverages as the company is specialized in pigmented product solutions, as well as in products for direct food contact (FDA approved). Specialising in products that are a combination of these two cases, ACTEGA is the perfect option for sourcing packaging. Publication & commercial materials include magazines, catalogs, direct mailings and photo books as well as many other printed applications. ACTEGA offers many product solutions for publication & commercial materials ranging from inks, primers and overprint coatings to pressroom chemistries and fountain solutions. Labels say a great deal about the product and the company they identify. They complement the packaging container, carry information and differentiate the brand. Thus, it is important that all label components are of the highest quality - from the inks used to the protective and value added finishes. ACTEGA offers product solutions for the various label types, including glue applied, pressure sensitive or in-mold labels.